Duttenhöfer develops and produces standardised and individual tight-head, open-top and combination drums from 6 to 216.5 litres. The sheet steel packaging is available with interior coating or in plain steel, optionally with a plastic inliner. The stainless steel series can hold a volume of up to 60 litres. 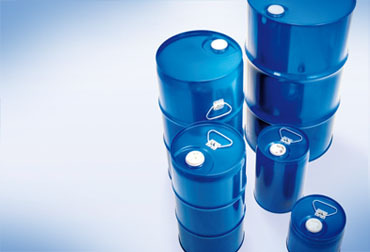 With more than 130 approvals Duttenhöfer offers a wide variety of applications. 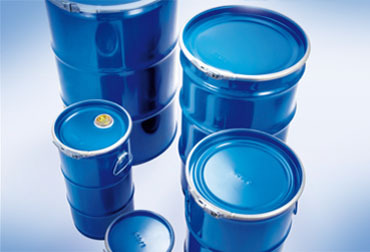 The drums are suitable for air, sea and road transport of goods classified in packaging groups 1-3, for liquid and solid substances of hazard classes 3, 4.1-3, 5.1-2, 6.1-2, 8 and 9. The packaging is type-tested and approved for all modes of transport. A pdf document of the technical data is available for download here. 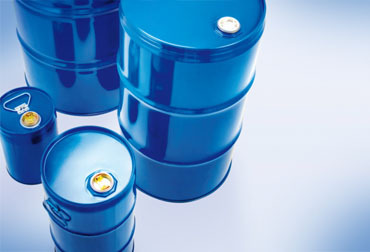 The drums are used in the chemical, pharmaceutical, cosmetic, aroma and mineral oil industries – worldwide, with a focus on Germany and Europe. Type-tested and approved packaging for all modes of transport.